The Annual Cambridge v Limerick Moot Court took place on 4th March. The competition was part of an international trip which was organised by the Law Society’s Trips Officer James Devery. 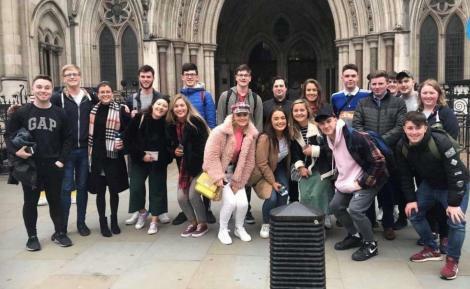 Twenty- one law students travelled to London in order to expand their knowledge of the legal world. As part of the trip, students attended tours of the renowned Royal English Courts of Justice, the Old Bailey and the Tower of London. Students also visited the famous speakers at Hyde Park where they witnessed first hand public debates regarding Brexit. The primary aim of this trip was to widen the legal minds of the participants. As the English Legal system can be found at the foundations of Irish Law, the trip gave an insight into the origins of common law and how it has developed. The adventure across the pond was thoroughly enjoyed by all. The key event of the trip was the Cambridge v Limerick Moot. 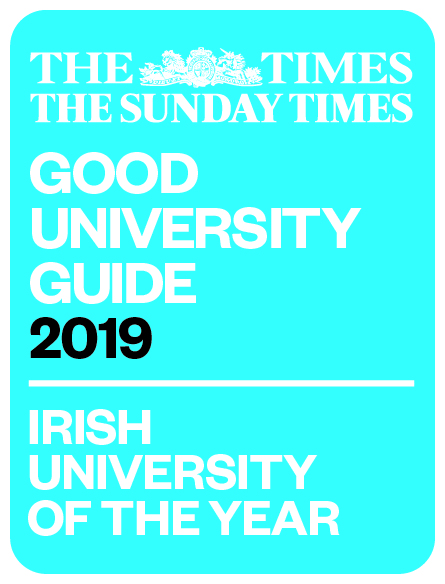 Niamh Walshe represented UL as senior counsel alongside Pascal Morrissey who acted as junior counsel. The duo argued a contract case while acting as appellant. The law society are delighted to announce that the team won the legal argument in the competition and Cambridge were granted the winning team title. The team were heavily challenged by a learned member of faculty of Cambridge’s Trinity Law School who acted the judge. Niamh Walshe, the Law Society’s mooting officer would like to thank and praise Cambridge’s Master of Moots Jefferi Hamzah Sendut for all his help in organising the competition. The Law Society are honoured to have such an established link with Cambridge University and hope that it continues for many more years. The Law Society are thrilled that they were given the opportunity and resources to organise an international trip. It is a key event in the Society’s academic calendar which is always enjoyed by its members.